Today is your free personal habit tracker that helps you organize your day and build life-changing habits. Quit bad habits and stay on track with Today's unique visual and rewarding approach based on proven methods from behavioral science. Today's clean and simple interface is designed to help you track you multiple habits and activities with a few simple gestures that feel natural right from the first launch. Choose a full-screen photo cover for each of your habits to motivate yourself and stimulate you visually to stay on track. Select from our ever-growing photo gallery or choose one of your own photos. Today is the first habit tracker app that lets you build a fully customizable dashboard for each habit by combining cards that offer unique functionality: Apple Health Charts, Custom charts, Customer counters, To-do lists, Journal, Streak Calendar, Photo Galleries and more. Select those that best fit your habit and the way you want to track it. You can manage what you can't measure. Get a clear overview of your check-ins and persistence across all your habits and activities from your profile in Today. Discover your weak spots to help you tweak and optimize your plan for maximum success. Developing a new habit or quitting a bad one is not just about checking a box every day. Today rewards with badges as you make progress to help you be more mindful of your journey and push you in the right direction. Your data is precious. Use Today's automatic backup feature to save all your data on your personal iCloud Drive or Dropbox folder for safekeeping and restore, if needed. Your privacy matters. Protect your all your habit data by using Today’s Touch ID or Face ID lock. For all devices that don’t support Touch ID or FaceID, we have enabled a 4-digit passcode. Today on the Apple Watch gives a quick and clear overview of all your check-ins due for today and check-in with a simple gesture. The Apple Watch complication will keep you up to the task and let you know when every single goal is complete. Set up as many reminders as you need for each of your habits. Using Rich Notifications, each notification comes with a beautiful graphical representation of your progress and the option to check-in without leaving the app. Today Widget allows you to view and complete your tasks quickly. Download Today and change your life today! - Control access to your habits using FaceID, TouchID or a 4-digit passcode. Check-ins are finally as simple as one tap. Each tap on a date on the Streak calendar, will increase the check-ins for that day by one so no more dialogs to open and close! If you want to remove a check-in, long-press on the date to bring up a new control that provides a fast and easy way to add, remove check-ins or the option to skip. When you perform a check-in, Today will mark that day on the streak calendar with a light green background. 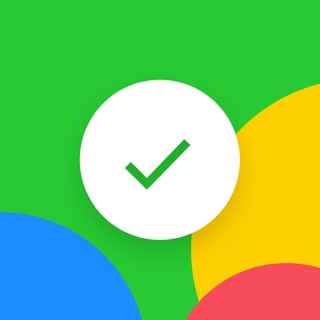 This will replace the green dot that appears under the date which was harder to notice visually. We are keeping the green dot under the date only when a day is part of a streak so that you can see which days contain check-ins and which don’t. - Fixed an issue that would cause crashes and instability when the user selected no weekdays as a target goal. With Today tracking our goals, we feel like we’re forming good habits, not frustration. Simple in all the right ways, this helpful tracker uses a smart check-in based approach, letting you record your progress with a single tap. Plus, the app lets you set each goal on its own pane, complete with custom-tailored backgrounds. It all adds up to a package that makes your aspirations feel individual and important. I have no idea how the developers came along and blew Momentum, Strides, and Way of Life out of the water … but they did. I’ve been using Way of Life for nearly half a decade now. Every once in a while I’d check out other trackers but they never compared. Momentum is too minimalistic (though I like their desktop sync, wink!) and Strides has a bubbly interface I can’t stand. Then here comes Today: sleek, customizable, effective, and innovative. I left feedback for a couple of things I’d like to see, but seeing their response to prior comments and where the app is now, I have no doubt they’ll continue to improve the app and likely implement what I mentioned. Over the summer before getting my Oura ring for sleep tracking, I was using Pillow by the same developers as Today (but didn’t know it), and it’s equally great. In fact I gave Oura feedback to implement some of what Pillow has! It’s like this developer and their apps popped out of nowhere, and I’m happy to have discovered them. The app interface is wonderful. But the app is missing some essential features. 2. Setting a habit to include every day of the week or month. I want daily checkins. Weekly only allows 6. Why not 7? Monthly only allows 25 not 30. These restricts are prohibitive. I don’t get it. (They added a daily option will allows all the days. That works but it does not reset like the weekly option. So I have to use daily in order to have seven checking per week. 3. I love the added cards. I chose to use the milestone card for a project. When I checked the first milestone as completed it was removed from the list. The correct action is to show a check mark. I went through the trouble to create the list so that I could see my progress. Please allow check marks instead of deleting. 4. Streaks. I’d like to know see my streaks. Not just how many days badge. If I performed an activity 21 times but not in a row then this is not a 21 day streak. A streak is number of consecutive days. This app has potential. But has many small issues. I purchased the pro version and I’m hoping the developers will continue to work out the problems. So far great job. This app is going to be awesome if they continue on the path their on. Thank you for this app and your continued support. Hello! The streak calendar in Today allows you to review and check-in on any day. We're noted your request to display the number of days since you started the habit. We're also working on an update that will all the restrictions that you mention. Thank you for your patience. Everything you need to achieve your goals.